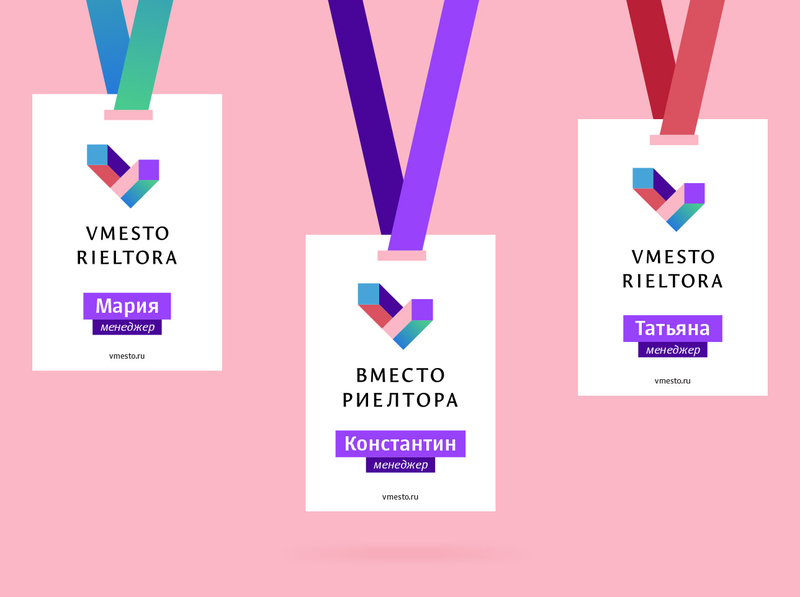 Task: to create a logo for an apartment selling service. 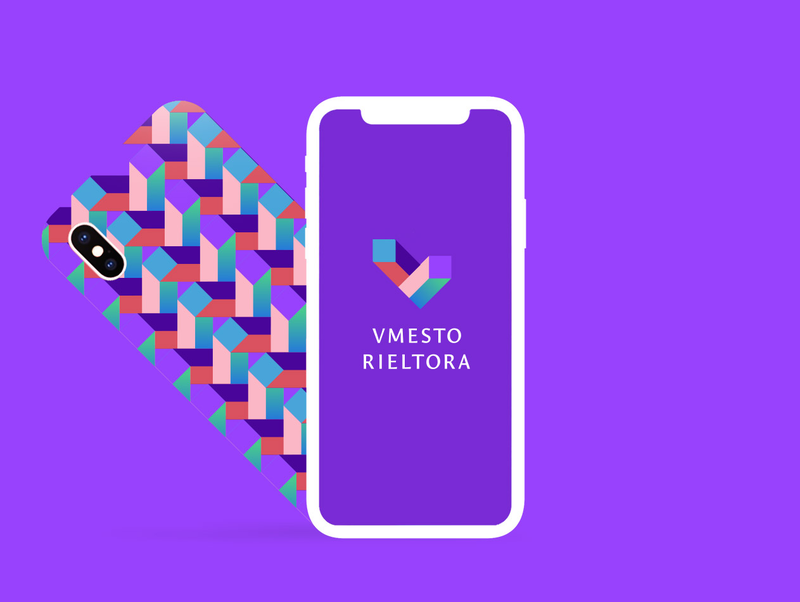 Vmesto Rieltora is a new platform that allows to quickly sell an apartment. The company’s employees take on all the work previously done by a real estate agent, only now a single realtor is replaced by a team of professionals. Photographers make beautiful photos, copywriters write the text, managers place ads and find clients, while lawyers make sure the transaction goes smoothly. In the end, the apartment sells fast and at a good price. 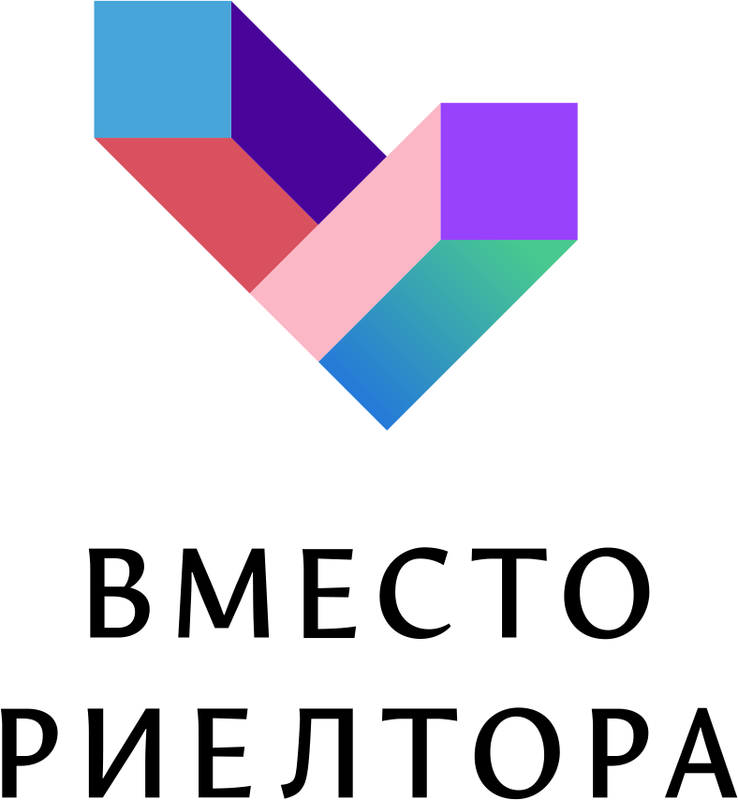 The symbol features the first letter of the company’s Russian and in English names: В and V. And also a bird’s-eye view of two high-rise buildings. 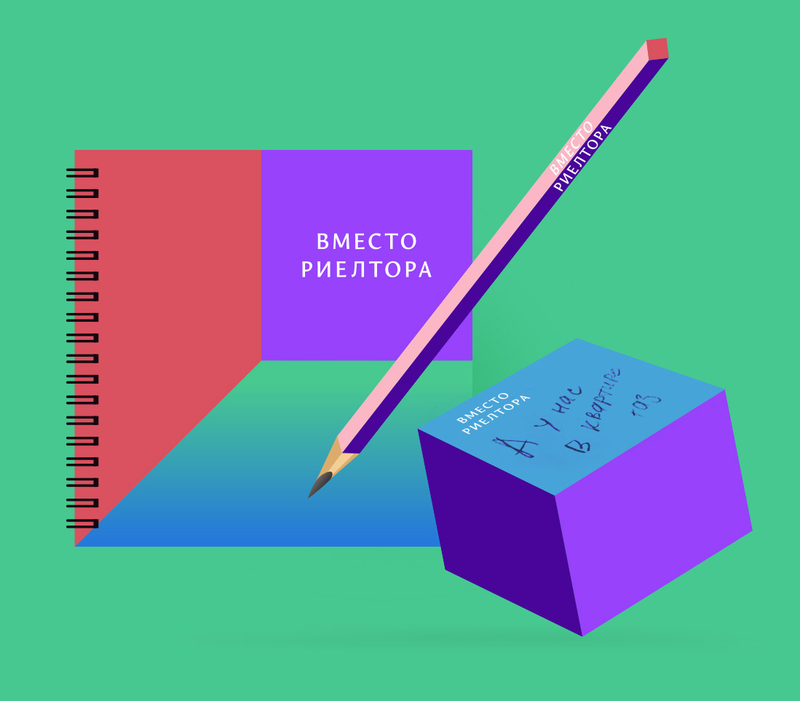 The variety of colors and rectangular shapes become the core of the bright geometric corporate identity.